Fire rings are the perfect solution to replace a ring of rocks! Have your guests gather safely around these fire pits to share ghost stories and smores! 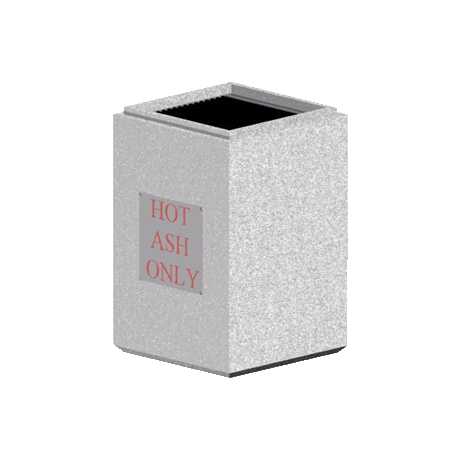 Thick, heat resistant 3/16” steel keeps the fire inside the ring and off the grass! 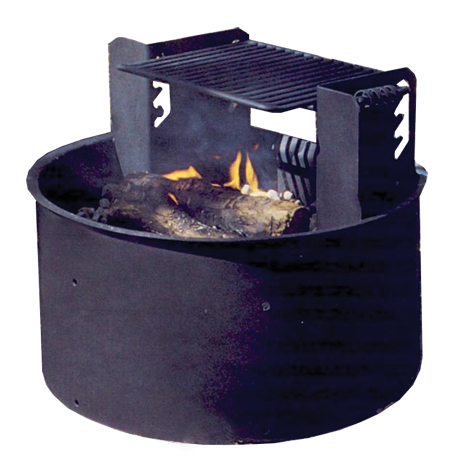 With two mounting options, and a variety of heights available, you’ll be sure to find the fire ring best suited for your camp area. 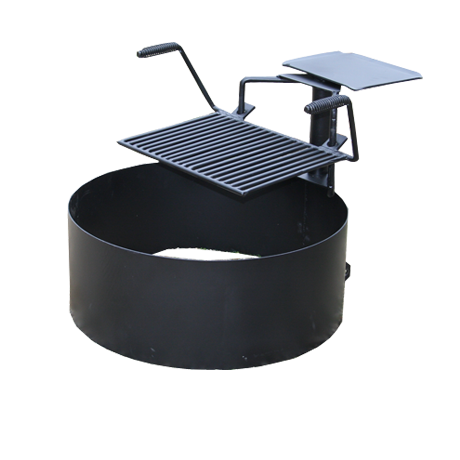 The tilt-back hinged mounting option allows for easy cleaning with a shovel or mobile equipment, while the three spade anchor stake has a more permanent mount. 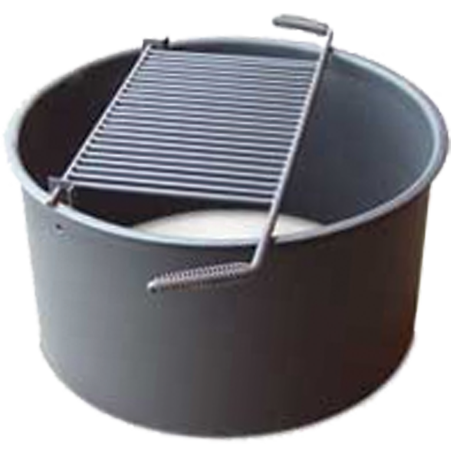 The fire rings are finished with a non-toxic, heat and rust resistant black enamel finish giving them a lasting clean, finished look. 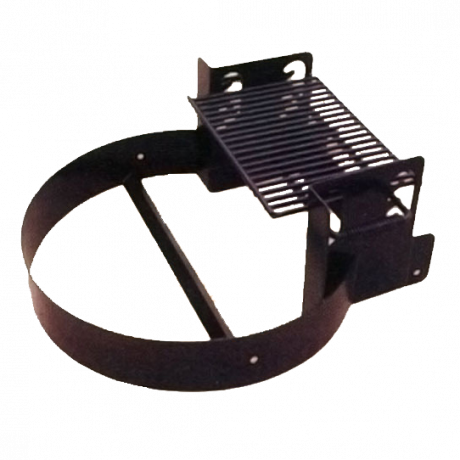 Cooking grates come standard on some models and have cool spring handles to prevent painful burns! 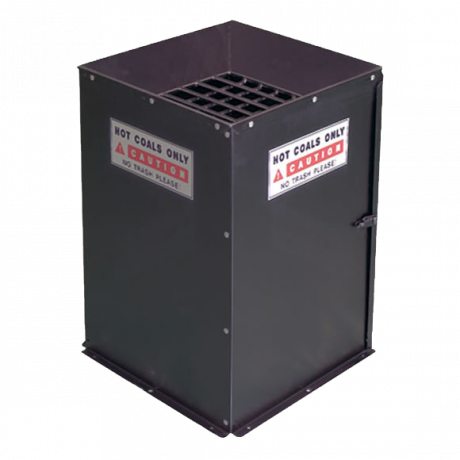 Fire rings are also available in 16” and 18” ADA compliant models. 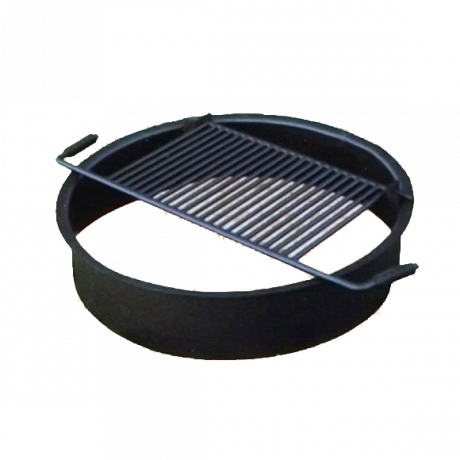 Prepare your campsites quickly for your next guests with these fire rings!